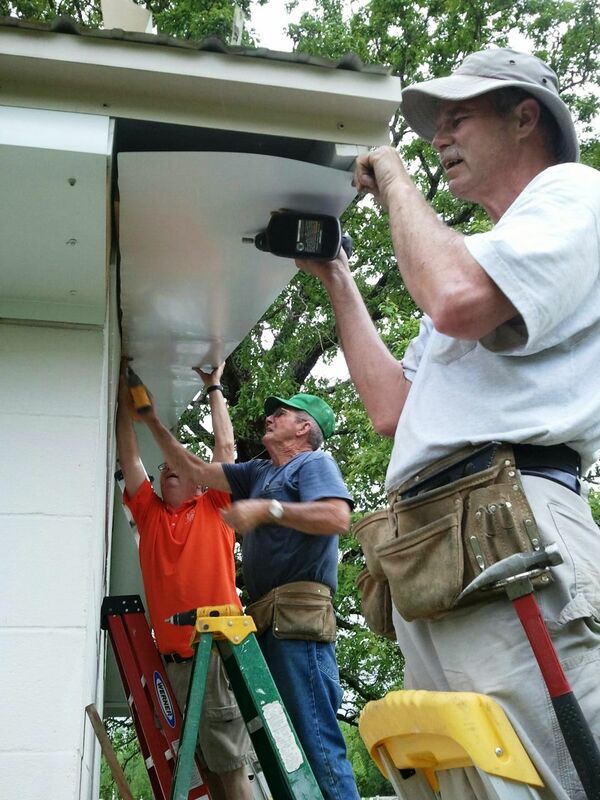 Cloyce Nail, Robert Oris Pittman and Allen Pepper working on new under-eave siding at North Union Chapel. 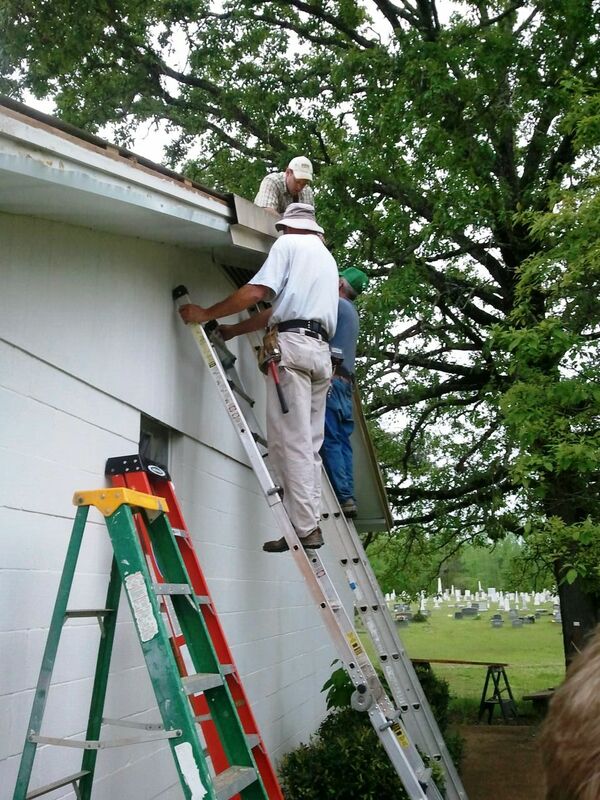 The construction is taking place in preparation for memorial set for May 17. Not pictured: Mitch Sisson and Pepper Sisson.